KVELERTAK – ‘NATTESFERD’ PRE-ORDERS, TRACK LISTING AND ALBUM VIDEO TEASER! Kvelertak have announced details of their new album and second for Roadrunner Records entitled Nattesferd. The follow up album to 2013’s widely acclaimed Meir, Nattesferd is heralded by the new single “1985” and pre-orders have just been made live today! Find out all about it below! 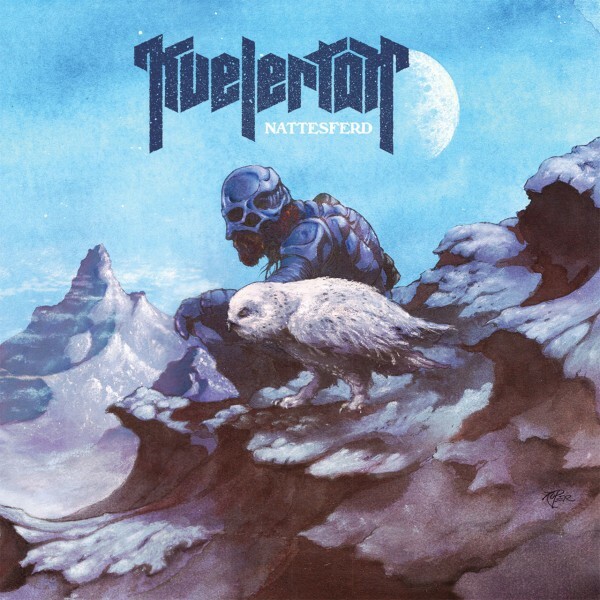 Norwegian rockers KVELERTAK have unveiled details of their highly anticipated new album ‘Nattesferd’ which is set for worldwide release on May 13th via Roadrunner Records. 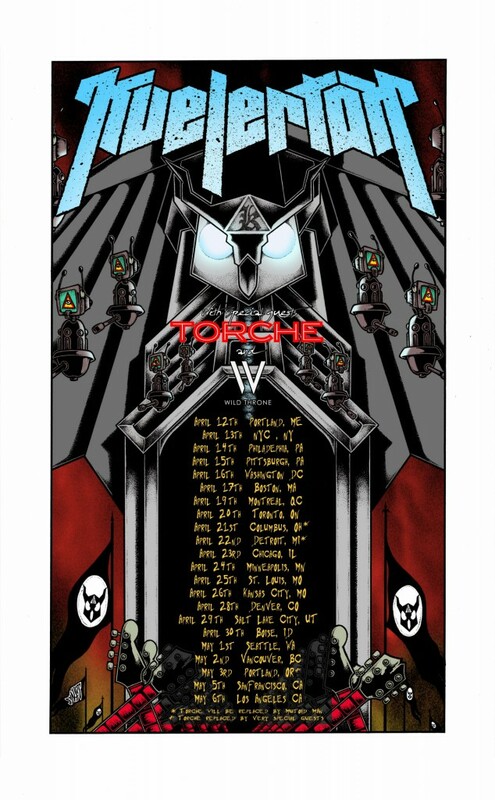 The band will be taking to the road in America for an early promotional tour in support of their third studio album with with special guests TORCHE and Roadrunner label-mates WILD THRONE. The dates kick off April 12 at Portland, Maine’s Port City Music Hall and will see the band traversing west through early May (see artwork below for all dates). 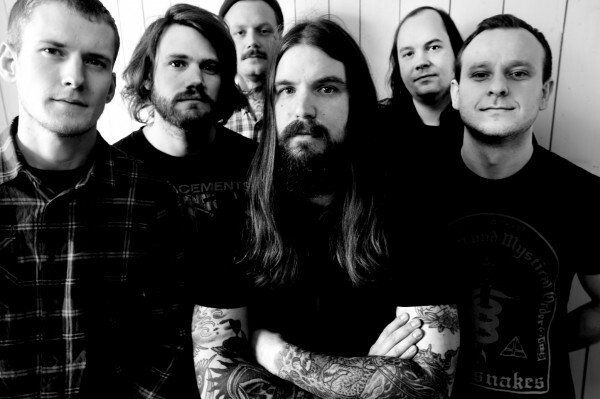 KVELERTAK have been busy working on the new album in Oslo, Norway’s Amper Tone Studio taking time out for the Slayer / Anthrax European dates towards the end of last year. Overdrive caught up with Erlend during this run of dates, where he talked about the recording of Nattesferd, check out the full interview on this link. Their follow-up LP to 2013’s widely acclaimed Meir is expected to be one of the most anticipated Metal albums of 2016 and one that will no doubt see the band reach bigger audiences and gain more media exposure. The approach to the new album’s production was very much the true essence of the bands as it was recorded live and engineered by producer Nick Terry (LINDSTRØM, TURBONEGRO, THE LIBERTINES), marking the first time KVELERTAK has recorded an album in its home country. KVELERTAK‘s forthcoming third LP is already garnering “Most Anticipated” accolades from the press, with Rolling Stone featuring it in the magazine’s “25 Most Anticipated Metal Albums Of 2016” round-up. Check out some high definition footage of the band’s recent show in Båten, Norway below where they play a yet to be discovered title and 1985 from the new album. A cryptic teaser for the album surfaced on the bands social media sites recently and adds to the overall expectations for the arrival of the new album, click on the video below and see for yourself! To pre-order a limited blue marble vinyl pressing of Nattesferd, simply click on the graphic link below. You better be quick as these are strictly limited and will sell out in super fast time!